Imo State University, IMSU pre-degree programme admission application form for the 2014/2015 academic session is out. 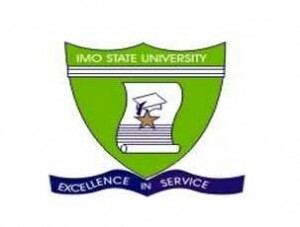 The management of the Imo State University (IMSU) invites suitably qualified candidates to apply for its pre-degree programme admission for the 2014/2015 academic session. (1) Obtain a registration card containing your application PIN Code from any branch of any of the following banks in Owerri, Imo State: IMSU Microfinance Bank, Zenith Bank for the payment of N6200.00 Application Fee to the cashier. (2) Create your Application Account on http://imsu.edu.ng/application/. (3) Login to your Application Account using your username and password. (4) Fill correctly all required information on the Application form. (6) Submit each application stage on completion before proceeding to the next stage. (7) Verify and print your fully completed application form. (8) Take your application form to the screening centre as registration evidence. Be generous, share this post!!! Previous FOR ALL UNIZIK ASPIRANTS; HOW TO CALCULATE UNIZIK CUT-OFF MARK.